Mix canned pumpkin and spice cake together until well blended. Add chocolate chips in and stir. 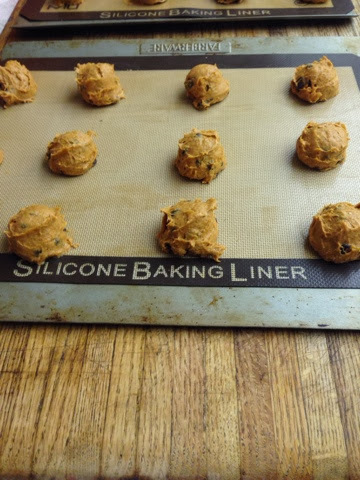 Place cookies on cookie sheet, put in preheated 375 degree oven for 17-20 min. These cookies are so delicious, especially during this time of year and they make the entire house smell fantastic! !